Olay has never been a brand I have really gone for, they are known for their skincare but with their target market being for older women and men they me. I always felt a little out of my depth trying their products. But after seeing that one of their new moisturisers was on offer I thought I might as well try it and see what it does to my skin. This moisturiser has spf 20 and helps to moisturise the skin and prevent ageing of the skin. I don't have an issue with ageing skin at the moment but I do tend to have dry skin every now and then. It recommends to apply this liberally to your face and neck. 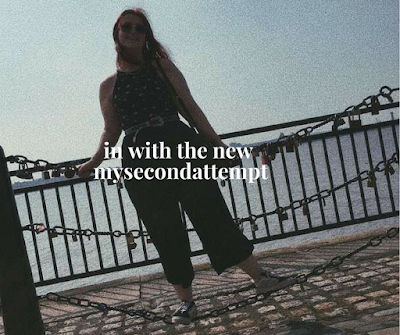 I have been using this for a month and a half now and have gathered my opinion on this. In terms of whether my face feels moisturised the feeling does last all day up until the next morning when I need to use it again. I use this at night and in the morning to make sure my face stays moisturised. However, this does take a while to sink into the skin so I try to apply this as early as possible in the morning before applying my primer and makeup. The moisturiser claims to be oil free meaning it won't clog your pores, I tend to find that this doesn't feel oily on my skin but it does add quite a bit of shine to my face that can be a bit difficult to control sometimes. This also works at smoothing and evening out your skin's texture and reducing visible lines on your face. I find that in terms of evening out my skin's texture this works to an extent. As I have spots that decided to appear every now and then it is difficult to get these under control and not make my skin look like it is full of lumps. In terms of reducing visible lines I have always had a clear problem with smile lines. This surprisingly has worked wonders for this issue, my smile lines have been reduced significantly which I honestly didn't expect to happen. In terms of the other benefits to this moisturiser they don't necessarily apply to my skin really at this moment in time, however I do like the fact that I can start protecting my skin and reduce the ageing of my skin from early on. Overall I really do like this moisturiser, even though all the benefits don't apply to me directly right now they don't seem to have had a negative effect on my skin which is something I was worried about. In terms of pricing this retails for £14.99 normally for 40ml which as an indication for you I bought my bottle around the middle of July and as it is almost the end of August I have just over a quarter of it left which in my opinion is really good. I would recommend this to anyone who maybe has older skin than mine who has dry skin and wants to avoid ageing as much as possible or maybe you just want to help smooth and even out your skins texture I would highly recommend this moisturiser. 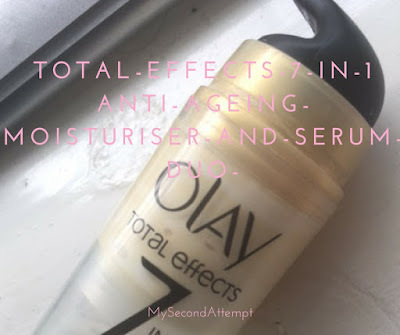 If you would like to see me review other olay products or if you have any recommendations for any other skincare moisturisers leave a comment below and I could be reviewing that next.